Ever get those automated calls for political or marketing purposes? Well, those are commonly known as “Robo-Calls.” They are made from a computerized autodialer that sends to the person answering a pre-recorded message. The 3rd US Circuit Court of Appeals in Philadelphia ruled that under the Telephone Consumer Protection Act (TCPA), consumers may withdraw their consent to have robo-callers contact them by cell phone with automated calls. By sending a written opt-out request, the calls must stop. 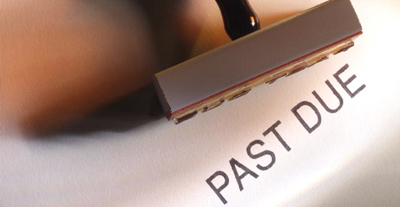 It is important for people who are debt collectors or who are looking to recover their own business debt that they know the laws regarding consumer rights. The automated calls are commonly used for tele-marketing and public service or emergency announcements. Often times debt collectors will use Robo-Calls as a means to attempt to collect judgments, collect debts, and notify customers about delinquent payments. The problem that people experience is excessive calling at all times of day and night from a debt collector that isn’t even human. Some debt collection agencies will use these automated calls as their primary means of collections. Not only is this a sloppy and ineffective method, but it portrays to the consumer that the debt collectors are the bad guys. While phone calls are a necessary aspect of debt collection, we find it to be a harassment for there to be an excessive amount of calls, especially automated calls. The courts ruling is primarily to benefit the consumer who is being bothered. However it sends a clear message to those of us in the debt collection industry that bothering people will get you nowhere- except maybe to court.